When patients decide to have weight loss surgery, they often think their weight loss journey begins once they leave the hospital. While weight loss surgery makes losing weight easier, it’s not the beginning of your weight loss journey. You’ll have to make diet and lifestyle changes both before and after bariatric surgery in order to make the most of your surgery. 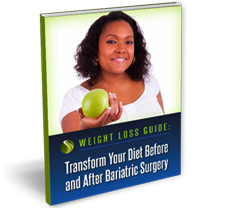 Your weight loss journey doesn’t start and end with bariatric surgery--the procedure is just a step along the way. To get the best results from your weight loss surgery, you should create a well-balanced diet that you can use both before and after bariatric surgery.